Big Leaf Maple. Branch wood. An elbow cut. Highly figured. 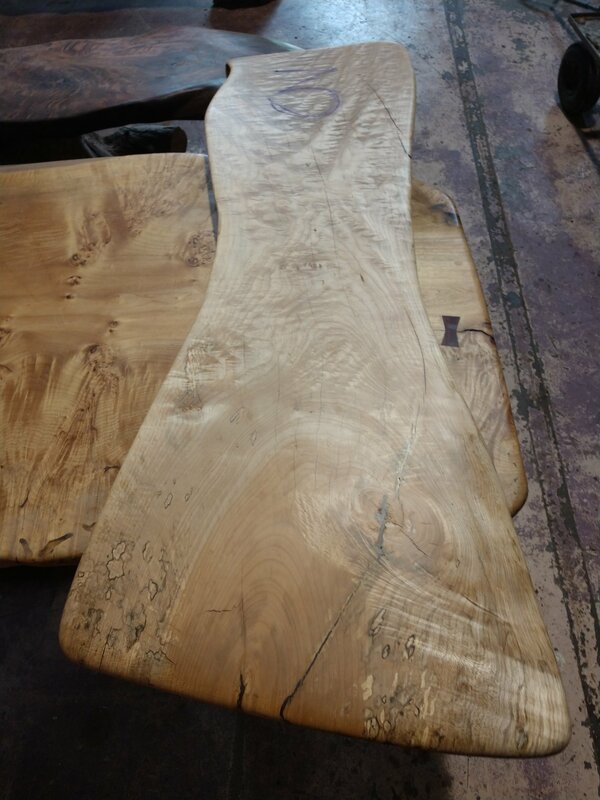 Aged three years to bring out spalting. Fiddle backed, Quilting mixed with flowing grains. Finished to 1500 grit and waxed.